Legacy Photographics is a leading provider of graduation, commencement, and other special event photography for discerning schools, colleges and universities in the Greater Philadelphia area. 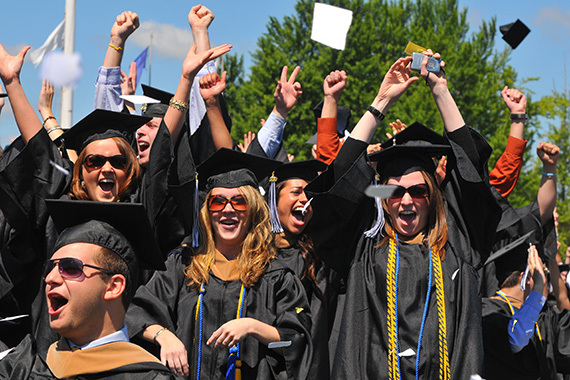 Commencement is an important milestone in every student’s life. We are privileged to have been selected to capture these accomplishments, and to provide these images to you and your family for prosterity. Commencement Photography is one of our specialties, and each of our trained, professional photographers is committed to capturing the best images of the graduates without disrupting the flow of the commencement ceremony. Our customized ordering system allows us to quickly identify each individual image, and present those images directly to each graduate to view, share and purchase. The final products are produced in a professional photo lab, on the highest-quailty photo paper, and shipped expediently by the United States Postal Service. All orders come with a satisfaction guarantee. Our clients include the largest universities, colleges and high schools in Philadelphia, the Mid-Atlantic Region and beyond. With over 30 years in business, we fully appreciate that each of our photos captures a cherished milestone in the lives of graduating students and their families.